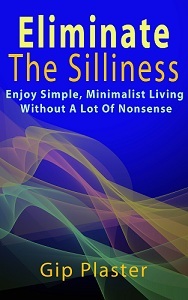 Everyone on the Internet seems to be talking about Everett Bogue’s new e-book Minimalist Business, and that’s a big reason to avoid it. Too much hype usually means too little content. If you haven’t heard about it, consider yourself lucky! I’ve heard way too much about it. Most of the blogs I read are promoting it, and I suspect many of those bloggers haven’t even read it. Before I tell you the four reasons I was reluctant to buy a copy, I have two confessions. First, I bought a copy. And I really like it. I’m as surprised as anyone. Second, I’m a little nervous today. After I tell you why I almost didn’t buy it, I’m going to suggest that you do, in fact, buy it. I’ve never promoted a product here, and I’ve never suggested my readers buy anything. People striving for a simple, deliberate life should always be reluctant to buy anything. (There’s a fifth reason.) But I think you will benefit from it. 1. I’ve been in small business longer than he has. I’ve been running very small, one-person businesses since I was 17 — that’s two decades. I’ve worked both part-time and full-time as a freelance writer, and I’ve run a successful online used bookselling business since 2003. 2. E-books are usually disappointing. Padded with filler and filled with padding, most e-books I’ve read say very little. I wonder what the cost to me for each piece of real information is in the last e-book I read? With those other writers, I paid a fair price for a fairly useless book. 3. I don’t want his life. I don’t want to live and work from anywhere. I’m fine right here. I like most aspects of my life, and I’m already improving the ones I don’t like. Living from a suitcase would be an undesirable step down, and I feel sorry for people who regularly spend valuable hours of their lives in plains, trains and automobiles. I like a simple life, but I like to stay put most of the time. 4. I really don’t have the extra money to spend at the moment. I’m frugal (most of the time), and spending money on an e-book — not even something printed on paper — seems weird to me. I can’t spend my money on every e-book that comes along, especially since a new one is announced on one of the blogs I read just about every week. As I said, I did buy Everett Bogue’s Minimalist Business. And with trembling hands, I recommend it to you. I’ve never suggested you turn loose of any of your money before, but that’s what I find myself doing now. Business is changing every moment, and Everett is more experienced in the way it works now than I am. And his e-book is anything but disappointing. While I already knew some of the information he presents, leaving it out would have been a mistake. In order to bring people along with you, you have to meet them a little before where they actually are and walk with them into the unfamiliar intersection to make sure they don’t turn back in frustration. I don’t want to travel much or live in a portable closet, but running a business that has no space-consuming infrastructure and few constraints on my time sounds like a great idea. While I don’t have a lot of extra money at the moment, that’s precisely because my businesses aren’t doing as well as they should. If I was as successful at minimalist business as I’d like to be, money would never be a problem for me. A minimalist business has low overhead, few employees and is fully automated, according to Everett’s book. For Everett, running a minimalist business means blogging and writing useful information products that he can sell to others. If you buy his book, you’re proving that he knows how to do that. The success Everett is already having with this e-book is proof that his way of doing business works. Don’t worry, though, he starts as the beginning with introductory material on how you can do what he’s doing. I like his writing because it’s like mine: No nonsense. It’s simple and direct — and he’s not afraid to make bold statements, something that has always served me well and seems to work for him, too. You may have heard some of the advice before, but that’s good news. It means you’re already on the right track. There’s more than enough fresh, interesting content to keep you coming back to the text week after week. I don’t know Everett personally, but I’ve been following his blog for months. I like this product, Minimalist Business, so much that I’ve signed up for his affiliate program and soon will be promoting the e-book on the sidebar of this blog. It’s that good. No matter what your starting point, you can become a minimalist business guru like Everett. It’s simple. And living a simple life is the point. Buy Everett Bogue’s Minimalist Business. Click here. Very interested to read your review. He’s doing so well with his blog and great to see that people are buying his book and finding value in it! Well done being an affiliate for it to. I was worried about moving into that area but my readers actually thanked me for it! They were grateful I’d done the leg work for them finding good books and courses so they didn’t have to! Annabel Candy, Get In the Hot Spot recently posted Need a 365-day Business Mentor? Actually, Everett offers money-back guarantee, so if you not happy with his book you can ask him to refund.